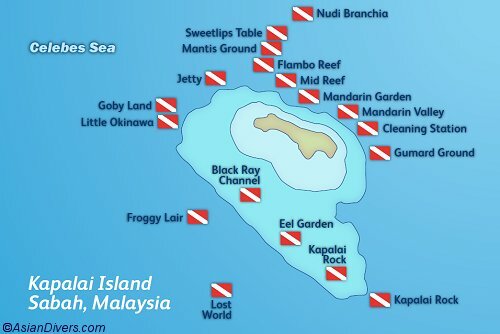 Kapalai resort is situated above a diving paradise and is only a short distance from world famous Sipadan island. Built above a secluded reef, Kapalai Dive Resort is a diver's paradise. Kapalai Dive Resort has 59 water bungalows with picturesque views, fully furnished suites, and spacious, private balcony. Walkways are wooden which provide the channels around the resort. The walkways also boast off the views of the marine creatures and its reef. The resort has a sun deck ideal for everyone who wants to imbibe with the warmth of the sun. The resort also boasts its sand bar which only appears on low tide. For tourists who prefer not to dive, the underwater life in Kapalai can be enjoyed through snorkeling in the shallow waters around the resort. For dive enthusiasts, there are 3 boat dives a day and unlimited shore diving.